Diwali has come and almost gone, but the season of festivities is far from over. With wedding season now upon us, it's time to start prepping. Festivals and shaadi season come with their fair share of celebratory parties. While the goal of these celebrations is always to have the best time that one can, looking festive and fabulous is also always a big part of the occasion. After all, one never truly feels the complete gamut of festivities until you dress up in your best Indian wear and put your party shoes on. 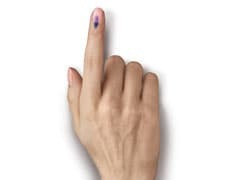 Buying new clothes every season, however, seems like quite the ordeal given just how exorbitant the price of an entire Indian outfit can be. This is where the evergreen saree comes in. Sarees have a way of being versatile in a way that no other garment can. 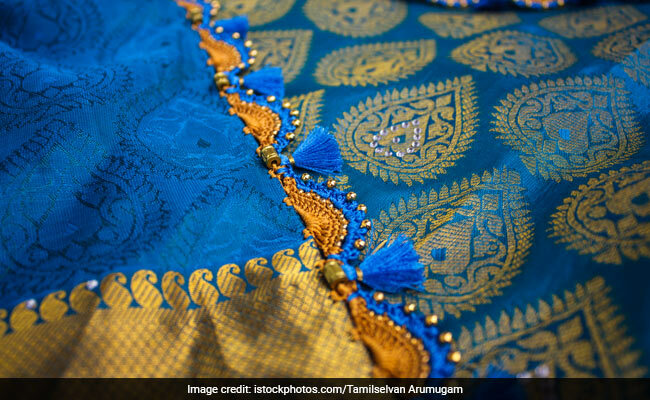 With different accessories and styles of draping, the same saree can look brand new every season. We've gone ahead and found you a few sarees that will make you stand out through the festivities. The best part is that they are all under Rs 1,500. No burning a hole in your wallet this year. We love this georgette and net embroidered sareefrom SareeShop on Amazon. The pink and silver shades and the woven zari design all over make it a stand out piece. It is priced at Rs 1,499. It's hard to go wrong with a classic black saree. 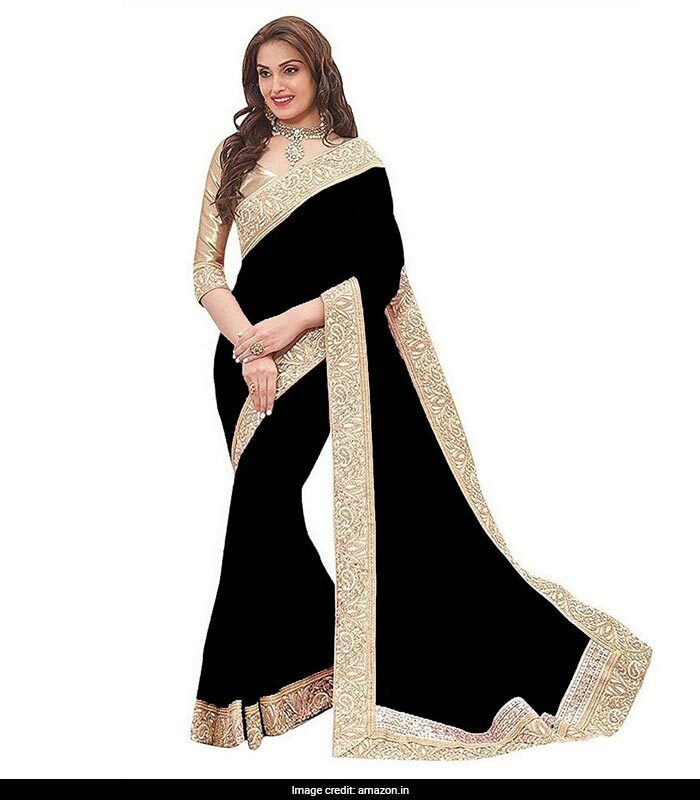 We love this black chiffon sareewith a gold butta border from VK Saree on Amazon. It is priced at Rs 539. 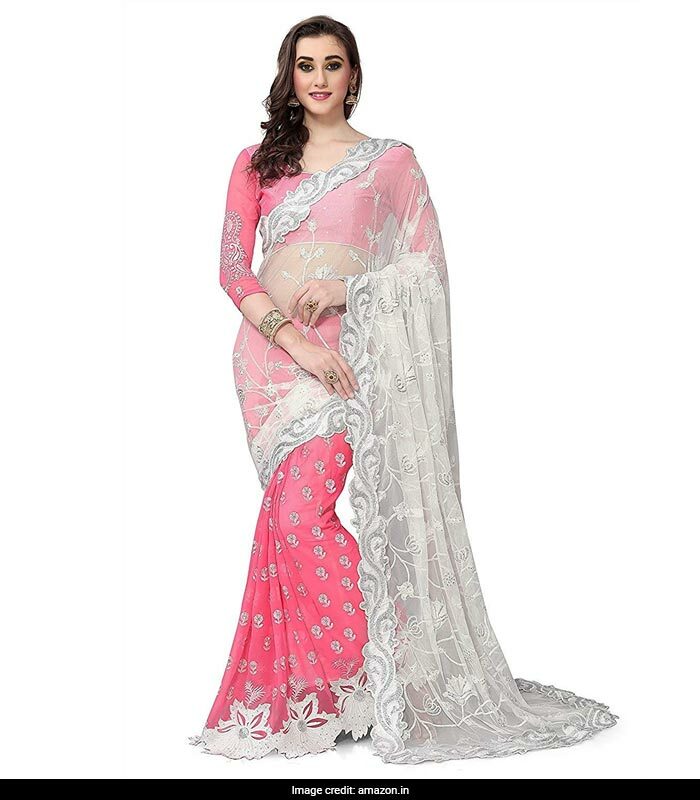 We cannot get enough of this peach coloured chiffon saree with zari work all over. Pair it with some beautiful gold accessories, and you're sure to win a number of compliments. From Craftsvilla on Amazon, it is priced at Rs 1,022.